Next up on our trip was Amsterdam. We originally planned on spending three days at the beginning of the trip and then one more at the end of the trip. However, Joseph's daypack and passport were unfortunately stolen on the third day as we were about to catch a train out. So, we instead stayed the extra day to go to the US embassy to get a same-day emergency passport. 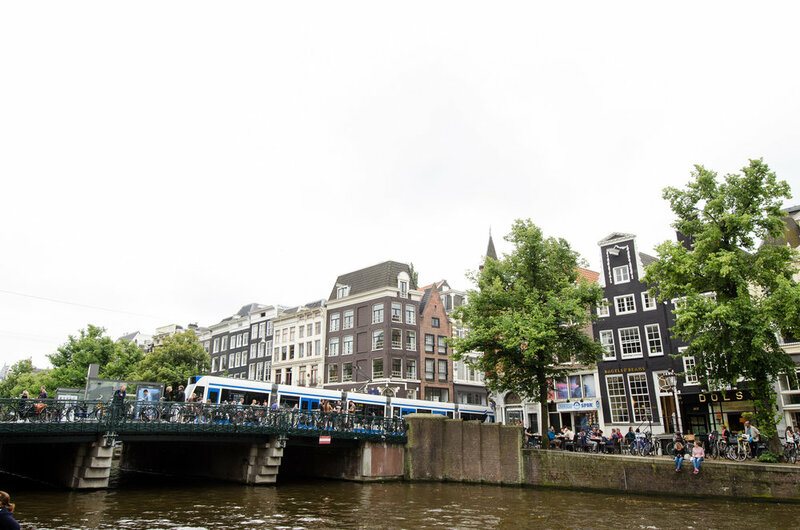 In retrospect, we were glad to spend all four days in a row as it allowed us to truly explore Amsterdam. Along with exploring the city, we checked out the Van Gogh and Banksy museums. Eventually, we made our way to the train station to make our train reservations. There, we met Tanja, who helped us initially decide to go to Bern, Switzerland when we figured out Rome wasn't going to work. However, due to the passport situation, we switched up our plans and decided on Venice. A solid four days in Amsterdam later, we were off to our next destination: Venice.